When all is said and done I would say that 2012 was another great year for WordPress. The world’s favorite Content Management System continues to go from strength to strength and its popularity shows no sign of waning. With the new year now well and truly upon us, now seems like a good time to reflect upon what 2012 offered WordPress users, and what we can hope to see from 2013. The WordPress.org Plugins Repository also saw a fairly major overhaul in 2012 with branded plugin headers, a favorites system, better integrated support forum posts and notifications, and a drastic overhaul of the ratings system with the introduction of mandatory reviews. Some of these features made their way into the themes repository too. All of these improvements were a step in the right direction although I remain doubtful of the WordPress community’s willingness to provide a worthwhile number of quality reviews. My concern is that the rating system will become somewhat obsolete (although some would argue that it already was). Speaking of plugins and themes, 2012 saw a huge number of fantastic new additions to the WordPress.org repositories — our recent themes and plugins of the year posts are proof enough of that. Plugin highlights included the acquisition (and subsequent major improvement) of Digg Digg by Buffer, the major improvement of Shareaholic, and a new version of SlideDeck. We also saw the introduction a new WordPress default theme — Twenty Twelve — which I consider to be the best yet. All in all, WordPress users are in a better place than they were twelve months ago. 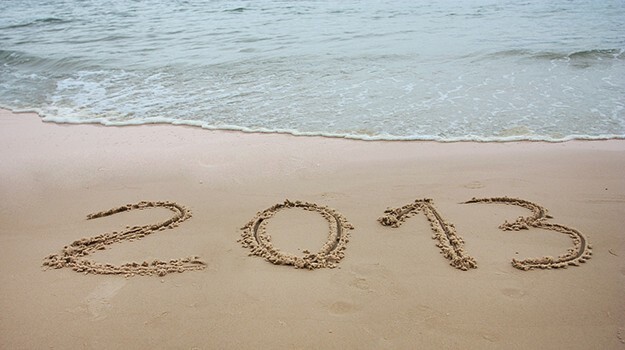 I believe that we can expect the coming year to offer as much (if not more) as 2012. Let’s start with the rumour mill — planning for WordPress 3.6 is already under way, with the eminently capable Mark Jaquith taking the lead. His wish is for the update to focus on “content editing (revisions, autosave, workflow, editing modes, etc)”. I for one could not be more enthusiastic about his suggestions — as I have said before, I believe that the improvement of WordPress’ content creation functionality should be a top priority. I’ve been stung by WordPress’ occasional revision/autosave shortcomings in the past and would love to see an improved system (perhaps in the same vein as Google Drive’s superb revision history feature) in place. The ironing out of bugs within the text editor and Distraction Free Editor would be a Godsend. I’m really looking forward to covering another year in WordPress development — I think we’ve got to look forward to. However, what is your opinion on WordPress’ progress in 2012 and its potential in 2013? What would you like to see introduced in the coming year? Let us know in the comments section! Really hope that mobile-first design thinking is not going to pushed too hard. No mobile device yet invented is nearly as good as a full-capability computer for content CREATION. Hiding options three clicks deep gives you a “nice” clean interface, at the expense of clicking several times every time you want to DO something. Take Google’s idiotic current search options setup where search options that were once displayed in a left column next search results are now buried at least two clicks deep in a narrow bar above the results. If we can understand that people are using 2-4 devices to access the same platforms now, we should at least expect them to learn the *smartest* interface for each platform. Trying to put the same simple face on everything leads to abysmal uselessnes, like Windows 8, like teaching an entire class at the level of the dumbest kid in the room. I would love to see the capability to design Admin Interface. This could add another dimension to WP. This would give Agencies and Freelancers a lot more options where WP could be utilized as Framework and they they can create custom Admin Interfaces for their clients. A much, much better editor experience. 1) A more WYSWYG experience in the editor. AKA the editor needs to automatically honor the Theme’s style sheet, so you are not second guessing how a heading will look like in your post. 2) The distraction free editor needs an option to set headings etc, without the thing is just a waste of diskspace..
I’d like to have a ‘backup and rollback’ ability for all plugins. That way if an update goes wrong, we wouldn’t have to go through so much pain. They really need to re-do the widgets to be more user friendly. There are so many more things you can have it do, and make it much easier to use for beginners. Hey Ryan, I’m interested to know what improvements you would suggest? As a blogger two important features on my wish list would be better search capabilities and improved tag management. I know both areas can be addresed with plugins but I really think they should be part of the core functionality. Totally on board with both suggestions — I’m constantly banging on about how bad WordPress’ search functionality is.